1 Bedroom | 1 Bath | Approx. 1,999 sq. ft. Exquisite, sprawling loft with custom designer upgrades throughout! Premium location in the historic Masonic Temple Lofts with floor to ceiling windows and beautiful original exposed brick walls. 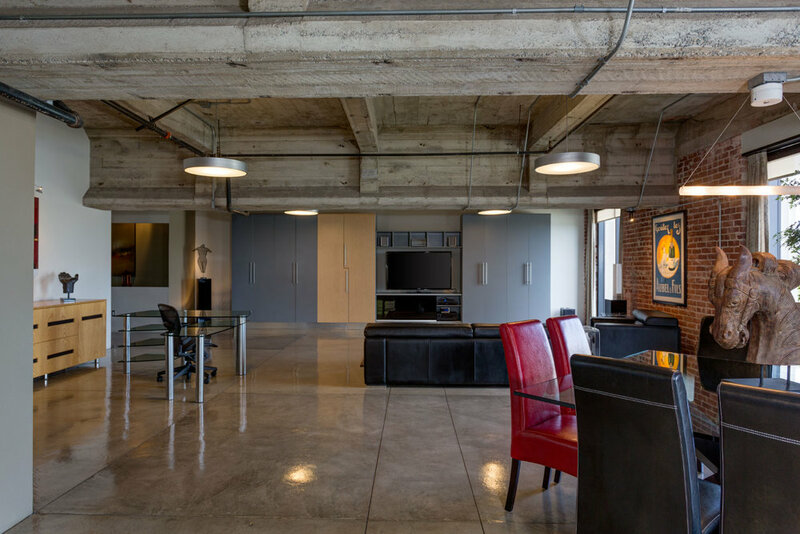 Every corner of this stunning loft has been designed to seamlessly blend function with form. Polished concrete floors gleam like glass, custom hardwired lighting throughout highlights the space perfectly for entertaining and to display artwork. Professional grade kitchen has been upgraded with a top of the line glass door Sub-Zero refrigerator and features a 5 burner gas Viking cooktop, stainless steel Viking stove and stainless steel Bosch dishwasher. Custom built media center and custom built wardrobe crate space, storage and blend perfectly into the open floor plan with customizable fabric panels on the wardrobe doors. Dual glazed windows, Cat 5 wiring, private storage locker, community features include: fitness center, jacuzzi, outdoor community grilling and gathering area, secured guest parking, clubhouse and stunning historic entrance foyer. Nothing has been overlooked in this remarkable loft, from the storage to the lighting, to the custom glass laundry doors-this is a space for entertaining and for the most discerning buyer, it is absolutely exquisite.